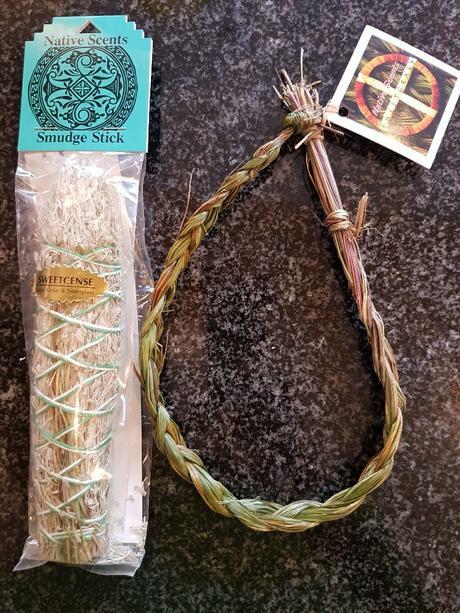 A Smudge Stick is made of dried herbs, usually bound with string into a small bundle. The herbs are later burned as part of a Ritual or Ceremony. 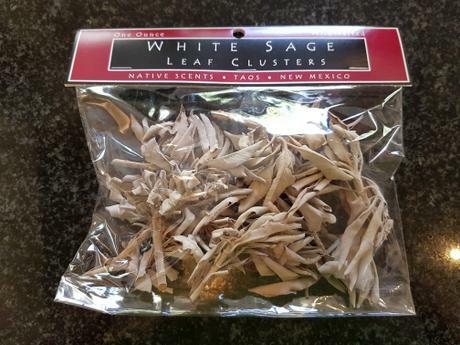 Traditionally, Sage and Cedar smoke have been used to clear negative energies or evil spirits from a space. This is done through ‘smudging’ which means to burn the herbs while the smoke purifies whatever it touches. 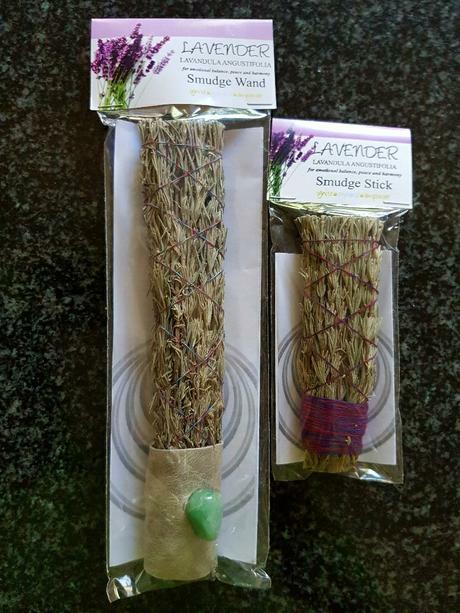 Many people smudge themselves, their items, pets, a room or a whole property to clear out the negative energy. 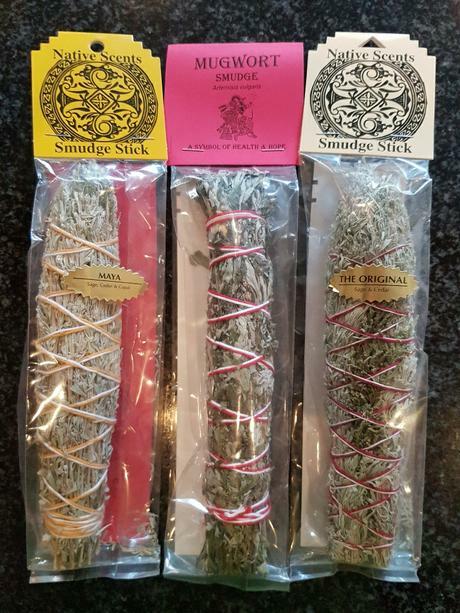 Using scent and scented smoke in religious rites is an element common to many religions and cultures worldwide. 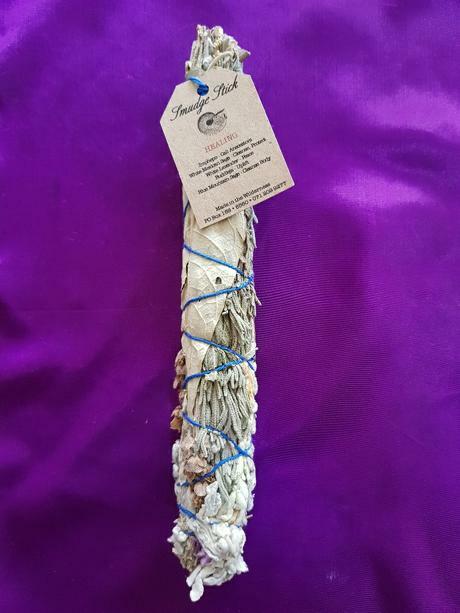 Smudge Bundles are one of the means by which people around the globe are reconnecting with the power of Mother Earth. 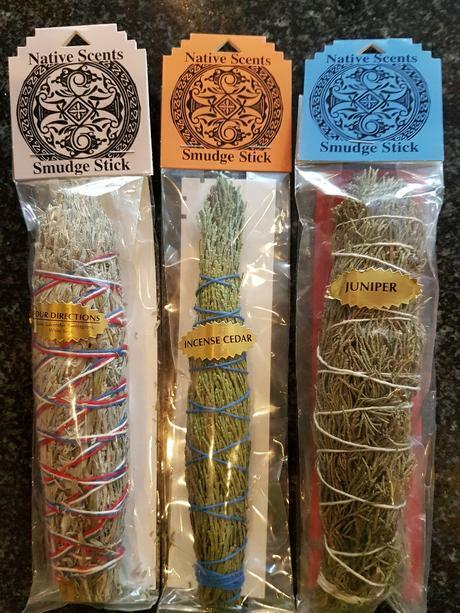 Native Scents Smudge Bundles are an all-natural ceremonial incense, traditionally burned in Native American rituals such as Sweat Lodges. 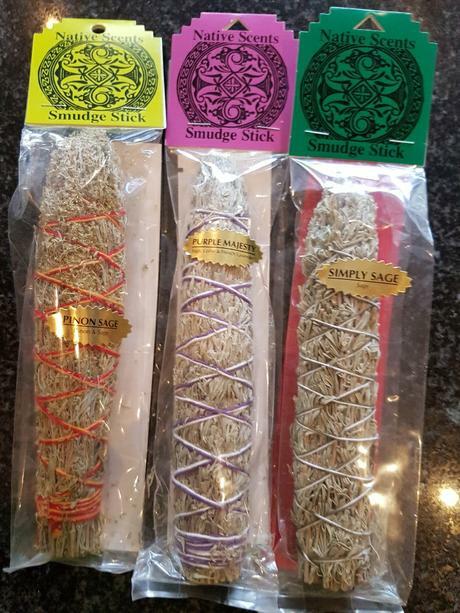 All the smudge sticks are made from 100% natural botanicals which were hand-picked by Native Americans in their local regions. These plants were gathered in a respectful and ecological manner in respect for Mother Earth. 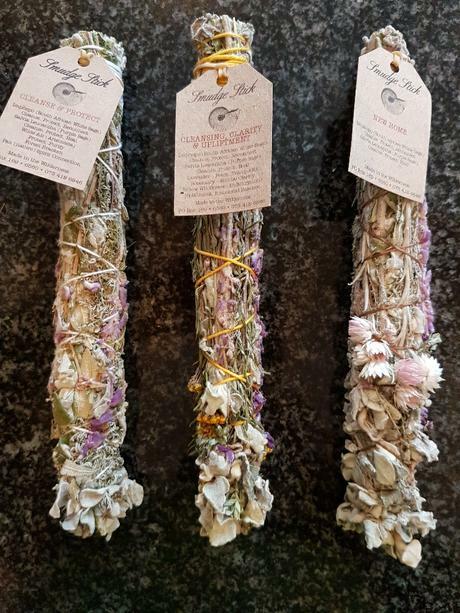 The bundles are created as tools of Ceremony, Ritual, and Personal Empowerment. 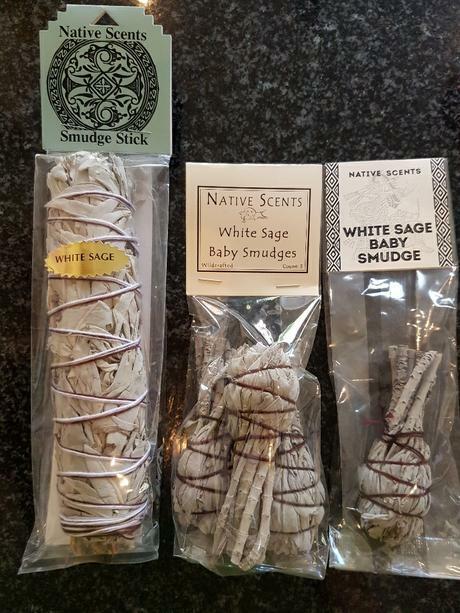 They are available in two sizes: the 8-1/2” (21cm) Smudge Bundle and the 3” (8cm) Baby Smudge which is ideal for a single smudging. Imphepo 'South African Sage'. 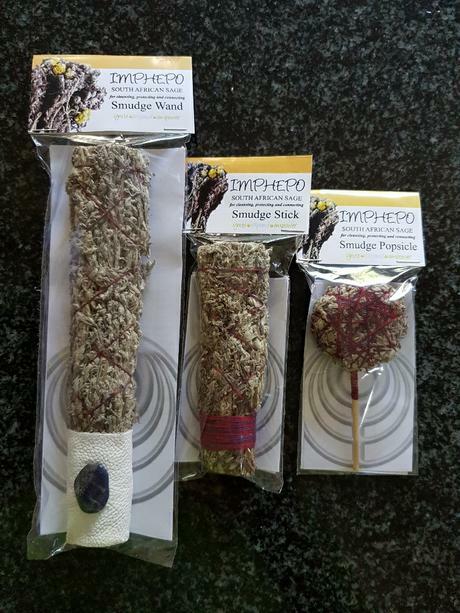 A traditional herb found only in South Africa. 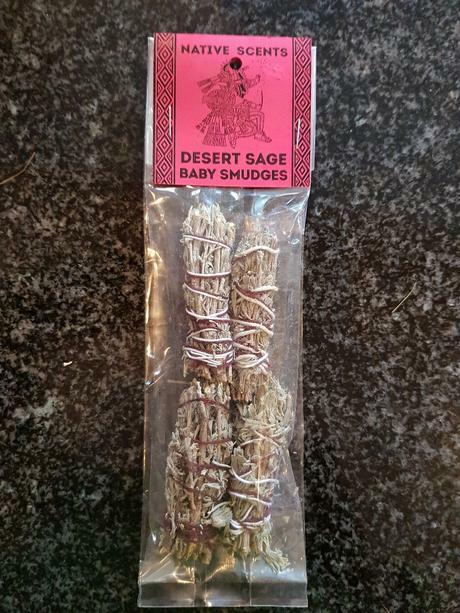 Used to Cleanse & Protect and allows you to connect to your Spirit Guides, Ancestors & Angels. A powerful smudge. Harmony Blend. 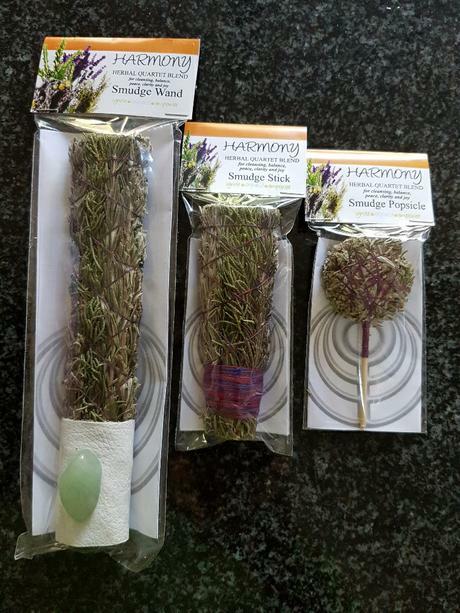 A unique mix of Lavender, Rosemary, Imphepo and Cedar. Lavender - Restores Emotional Balance. Rosemary - Brings Mental Clarity & Calmness by allowing the release of negative thought patterns or self-limiting beliefs. Imphepo - Cleanses & Protects. Cedar - provides Grounding & Joy, especially when used during Personal Transformation. Promotes being ‘In the Now’. Restores Emotional Balance and creates a peaceful, harmonious atmosphere. Lavender also attracts Angel Beings.